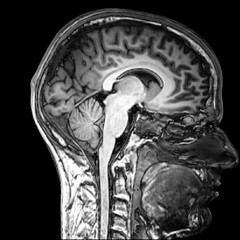 At KnowThis.com, we love the idea of neuromarketing research. For those unfamiliar, neuromarketing is when marketers use techniques associated with neuroscience to help obtain information that may affect marketing decisions. As the name implies, neuroscience is all about the study of the brain. Thus, neuromarketing research is about understanding what is happening in customers’ brains and then using this to produce positive marketing results. We talked about neuromarketing research a few years back when we discussed different research techniques that fall under the neuroscience category. We also have listed several stories dealing with neuromarketing and neuroscience. Now we have another example of neuromarketing research. This one comes from [email protected], and it discusses how price can impact customers’ decision making. The researchers in this story evaluated customers (i.e., subjects) while they laid on a table hooked to an MRI brain scanner. The subjects were then presented with a picture showing either a price with no other information or a product with no other information. This was then followed by an image of the product and price together. Results were evaluated in terms of brain activity and indicated that, depending on whether they saw the price first or the product first, subject’s brain activity was quite different when shown pictures of both the product and price together. Following these results, the researchers continued their study outside the MRI scanner, and the results are quite interesting. We will leave it to you to see what they found, though the implications for marketers when it comes to when to lead with price is quite intriquing.